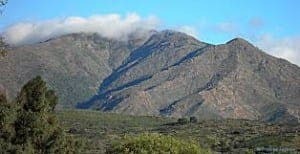 THE Sierra Bermeja could soon become a National Park after the Andalucia Earth Sciences Institute backed the campaign. The vast, green mountainous region between Estepona and Casares, has attracted researchers from all over the world thanks to its geological features, such as peridotite rock. It is also home to the rare pinsapo pine tree. Another opportunity to make money by exceptional building permits.